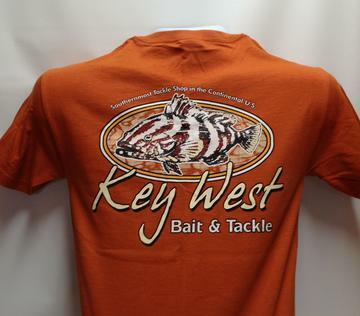 Key West Bait and Tackle wishes you a "Merry Fishmas"
November at the bait shop saw the arrival of two new t-shirt designs, a customized genuine Buff Multifunctional Headwear and children sizes added to a few select t-shirts. 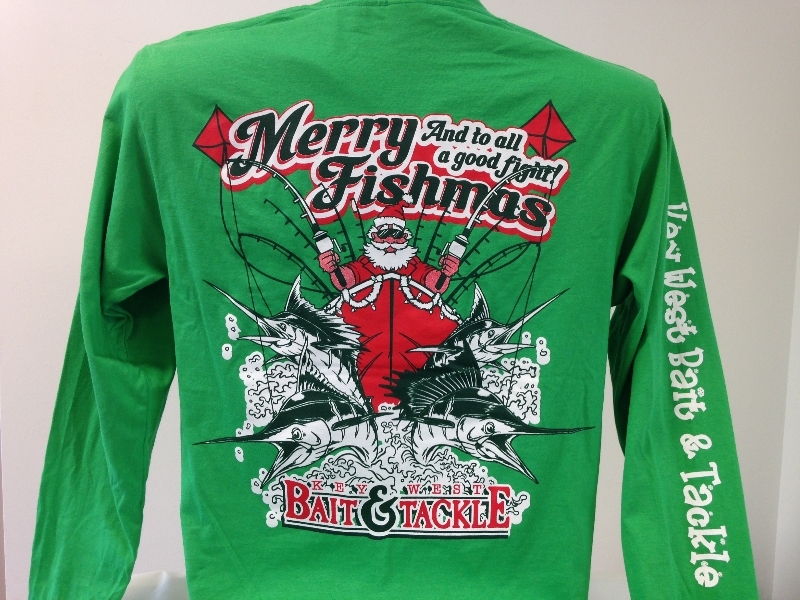 Our new limited edition long sleeve “Merry Fishmas and to all a good Fight” Christmas t-shirt is available in red or green with our signature logo on the front and Key West Bait and Tackle on the sleeve. We have also made this shirt available in size 3X. 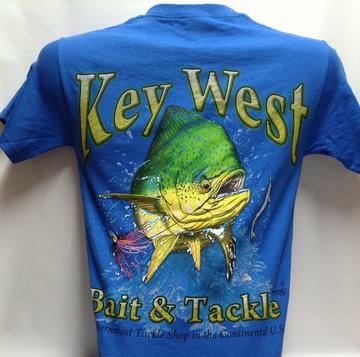 We have also added a new t-shirt design “The Offshore Slam” featuring some of the most popular fish sought after in our surrounding waters and our signature logo on the front left chest. Pick between white, orange or tropical blue. This shirt also is available in 3X. 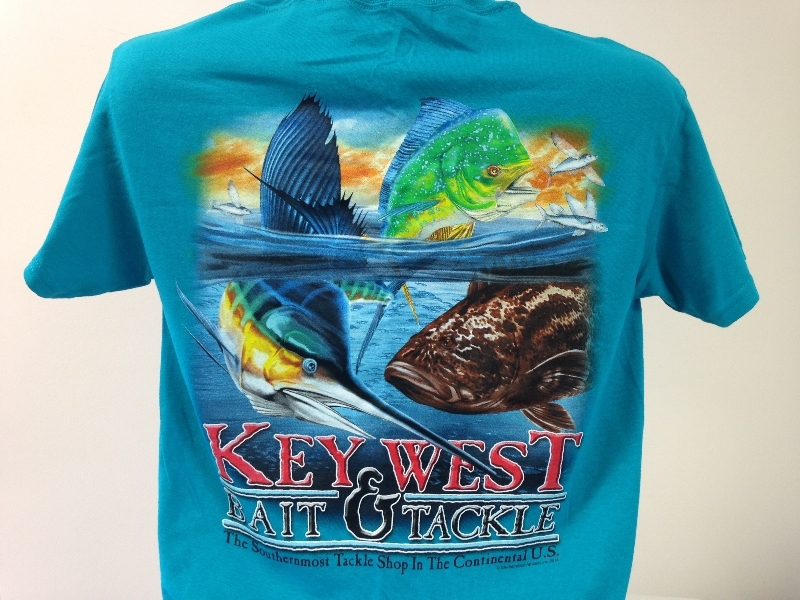 To make room for the Offshore Slam t-shirt we are retiring our current Grouper design. The price has been reduced to $14.99. Supplies are limited, so get this shirt before it is gone forever. One of the most popular accessories for the local fisherman here is a Buff Multifunctional Headwear. We have made arrangements with Buff, the manufacturer of the original multifunctional headwear, to have our signature logo imprinted on an authentic Buff. 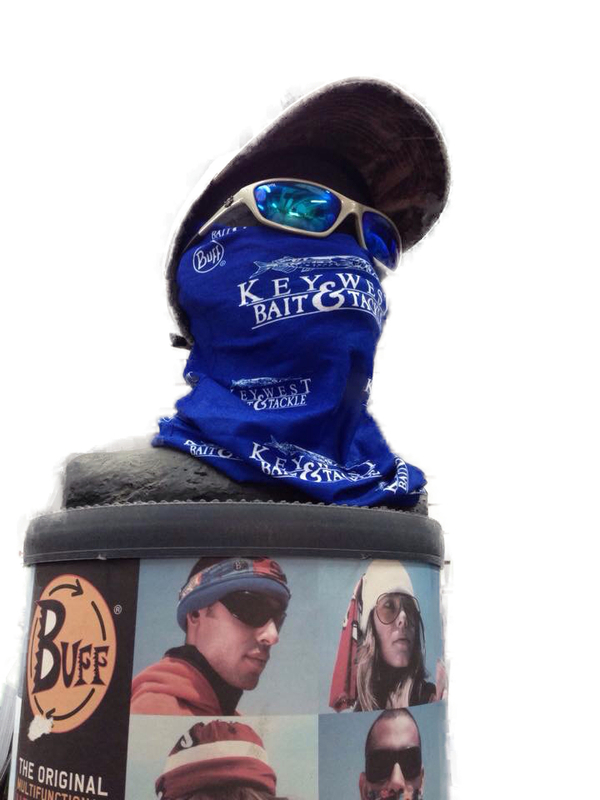 These Buff Headwear provide protection from the wind and sun (with a 95% UV rating) while out on the water fishing or boating or any outdoor activity. In the colder parts of the country they also provide additional protection and warmth for activities like skiing, snowboarding or what ever takes you outdoors. We have had many requests for children sizes of our t-shirts. We now have youth sizes in two t-shirt designs, our Dolphin t-shirt and the Lobster Dive Flag t-shirt. All Lures: Buy 3 & Get 1 FREE! Click here to see more discounted sale items. 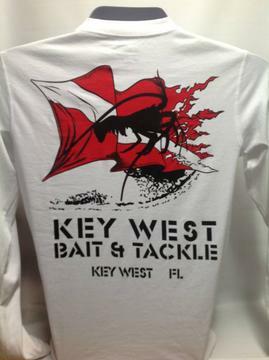 Just in time for the winter weather settling in, we have in stock our new Key West Bait and Tackle Logo pullover and zip up sweatshirts. 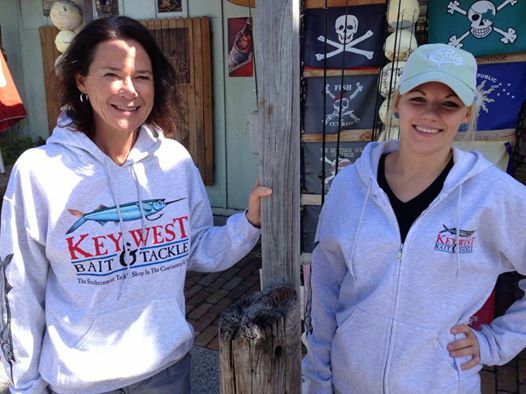 Now you can have our signature Key West Bait and Tackle hooded pullover or zip up sweatshirt to keep you warm and comfortable in the cooler weather. This Gildan Heavy Blend pullover sweatshirt has our full color signature logo printed large across the front and our ballyhoo logo added to the right sleeve and the zip up sweatshirt has our full color signature logo printed large full size across the back, small on the left chest and our ballyhoo logo added to the right sleeve. Don’t wait to get one of these warm and soft sweatshirts because supplies are limited. The December Beer of the Month has arrived! 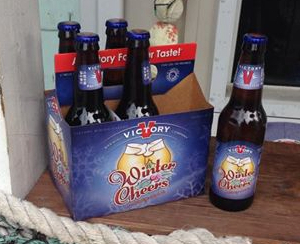 From Victory Brewing Company in Downingtown, PA it's Winter Cheers, a celebratory wheat ale! It's a perfect brew to brighten your spirits!